Composers Tom Hobden and Eliot James are no strangers to the realm of popular music. Once a member of indie folk outfit Noah and the Whale, Hobden has also collaborated with Laura Marling and Mumford and Sons, while producer and songwriter James counts to his credit work with Two Door Cinema Club, Kaiser Chiefs, and Bloc Party. James and Hobden met way back in 2007, when James produced Noah and the Whale’s debut LP ‘Peaceful, the World Lays Me Down’. But it was only in 2016 that the pair made a concerted effort to formalise their own collaboration, based on a shared frustration with “lack of opportunities for and appreciation afforded to orchestral strings within the world of pop.” Hobden and James’ solution to that problem comes in the form of a new album titled ‘Roam’. Going beyond the practice of simply ornamenting popular songs with strings, woodwinds and brass, the pair have taken the idea of orchestral arrangements a step farther by writing short, easily accessible pieces of music centered around instrumental melodies rather than vocal and lyrical ones. It feels strange to talk about classicially-oriented instrumental music in pop music terms, but Hobden and James have, perhaps wisely, adopted the vernacular terminology in their press materials. As such, the first single from ‘Roam’ is the sweepingly beautiful ‘Housman’s Theme’, which at 3 and a half minutes’ length, is one of the longest tracks on the album. Accordingly, the pair have accompanied the release with an equally captivating promo video, directed by George Daniell. 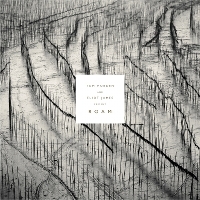 Hobden and James claim several modern minimalist composers (Philip Glass, Arvo Pärt and Max Richter) among their influences, as well as harking back to a celebrated trio of neo-Romanticists (Samuel Barber, Ralph Vaughan Williams and Benjamin Britten). My ear centers on the sleek aesthetic of Glass and the sweeping drama of Barber in ‘Housman’s Theme’, though hints of Vaughan Williams’ folk song influence can be heard as well. Later in the album, meta-compositions ‘Mixolydian’ and ‘Chromatics’ are more distinctly minimal, yet delicately layered to achieve a finely-textured sheen. The light and sparkling ‘Arctic Spring’ contrasts with a darker tone and a pervasive sense of urgency in ‘South for the Winter’, which taken as a pair create a nice sense of symmetry in the tracklisting of ‘Roam’. The variety of subject matter suggested by titles like ‘La Madrugada’ and ‘Plessley Wood’ plays out in a multitude of sonic soundscapes, while the overall focus on orchestral strings keeps the album feeling like a cohesive collection of musical vignettes, rather than simply a convenient grouping of songs. Hobden and James have made a bold move with ‘Roam’, perhaps veering slightly off their own individual paths. They elaborate in the album’s press release: “True to the album’s name, we set out with a hunger for exploring new musical territory. With an orchestra on hand, we gladly lost ourselves at times in the wide plains of English Romanticism but at the same time were ever aware of the here and now, and the importance of forging new lines.” The project’s ultimate destination isn’t entirely clear, but the sense of direction throughout Hobden and James’ wanderings is keen, as is their propensity for a pleasant sonic sojourn. ‘Tom Hobden and Eliot James Present: Roam’ was recorded in Hungary with the Budapest Film Orchestra. The album is available now on Village Green Recordings.